Detail below. 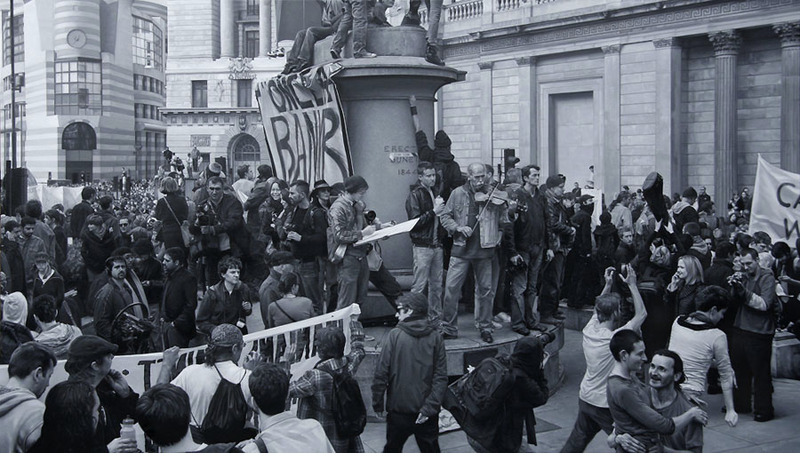 The painting is based on photographs taken outside the Bank of England of the Financial Fools' Day protest as part of the broader G20 Meltdown demonstrations. 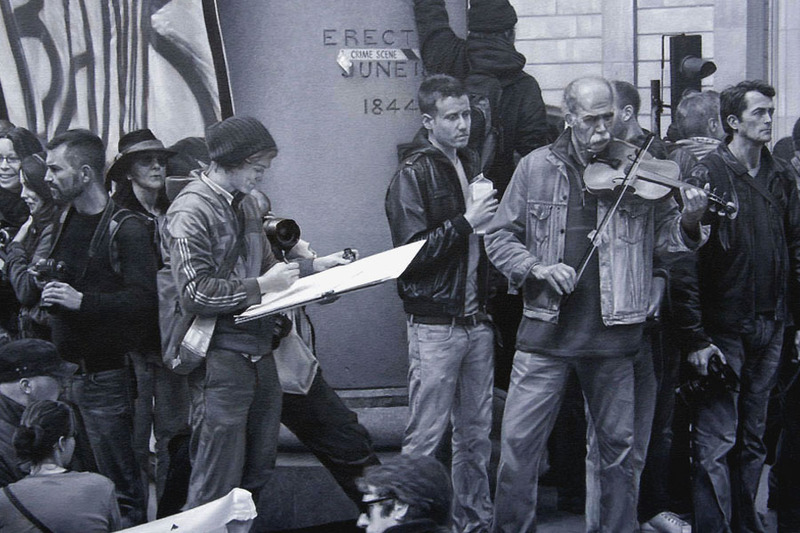 The painting was selected for the John Moores Painting Prize 2010 and was chosen for one of the prizes, and also won the Visitor's Choice Prize.